Just as water drips from a spout and collects in a bucket or pail, content can drip from your company's headquarters and into the minds of consumers. That's a drip campaign. 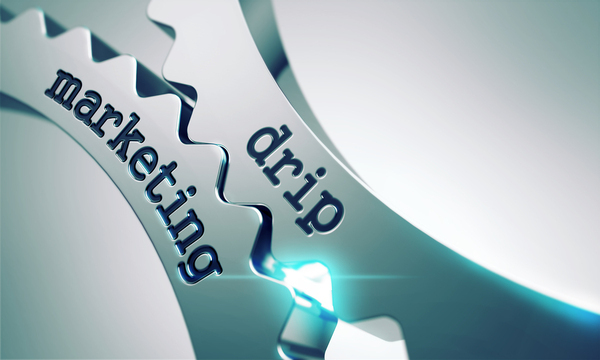 You can use drip campaigns for email marketing, SMS marketing, and a host of other purposes. But how do you set up an effective drip campaign, no matter your budget or marketing experience? When you let water leak out of a faucet, you expect it to collect in a basin. Over time, the basin fills up with water, but it all starts with each individual drip. 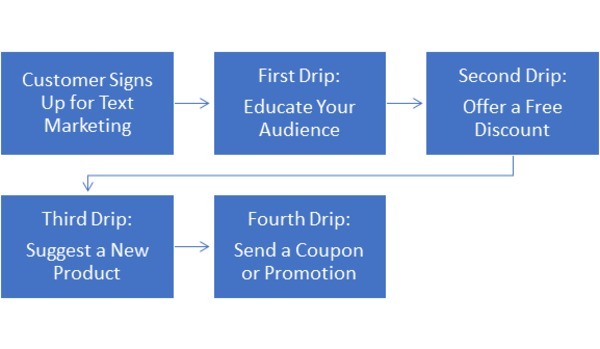 In a drip campaign, you follow that same methodology, but with content. The idea is to use a drip campaign to build momentum with your audience and to usher customers through the sales funnel or cycle. Your audience might be on the fence now, but a few drips later, you might have a customer on the line. It's also a form of marketing automation. Based on a set of parameters, you decide how often the recipient gets emails, SMS marketing messages, or other communications. Your email service sends out those messages on a set schedule. You don't have to interfere. Post signage in your store, send emails to your contact list, and let people know in person about your SMS marketing campaign. Tell them how to sign up, such as by texting a keyword to a specific number. The more people you tell, the larger your list will get. You can customize your drip campaign by setting up triggers. For instance, a customer who signs up while in your store might get different messages than a customer who visits your website and signs up from there. That way, you're targeting your audience with messages that appeal to them, such as in-person versus online shoppers. Design your content marketing to incentivize an action. For instance, a 20 percent off coupon could easily inspire a potential customer to make a purchase. Other incentives could include a weekly sale item, a gift with purchase, or free shipping. In other words, give your recipients a reason to act on your messages. In a drip campaign, each message builds on the last. You're creating momentum toward a desired conclusion, such as a major purchase. This works particularly well if you can upsell to your customers. A prospect buys something small and signs up for your text alerts. Gradually, using a drip campaign, you convince the customer that a higher-end item is worthy of his or her attention. As long as you deliver on the promises you make, you maintain your brand reputation and instill faith and loyalty in your customers. Some drip campaigns are extremely simple, such as the one above. Each drip comes at a set interval, such as one week apart, as you build toward creating loyal customers. However, you can also make your drip complex more complex using an if/then strategy, such as the one Joe Stych describes in his piece on drip marketing. For instance, you could decide how to proceed with your messages based on open rates, time on page, and other metrics that you track online. Whatever the case, drip campaigns work particularly well with SMS marketing because of their simplicity. Consumers are more likely to notice a text message, and it's the ultimate form of permission marketing. To start your own drip campaign today, sign up for free and give EZ Texting a shot.